Despite what my Mom may think, I am actually a canine connoisseur. Although my tastes often run a bit different from that of my family pack, I suspect they confuse my politeness in consuming what they offer with preference. I would hate to hurt anyone's feelings by turning my nose up at the food and treats they offer. My motto: If it's there, eat it. Of course, this philosophy sometimes gets me into a bit of trouble occasionally. Like that time Dad didn't want to eat the sandwich he'd made and abandoned it on the kitchen table. Nothing sadder than a lonely sandwich. What's a thoughtful fellow to do? Dad was pretty excited about me helping clear the table for him. Sometimes I just can't figure that guy out. Even though my family pack tends to be a bit confused at times, other times they get it just right. Like the other day, when my friend with the big truck dropped off a package sent straight from doggy heaven. I could smell that goodness right through the door! That guy is one of my favorite people and for the life of me, I can't figure out why Mom and Dad won't let me tell him thank you. Someone certainly deserved a thank you for the tasty goodies that were inside the package! I smelled something tasty and familiar and another scent that nearly caused me to loose more than a bit of drool, my decorum! Mom and Dad thinks get goofy expressions on their faces when my friend drops off a package for me. They usually open the box and let me explore it. This is fun for them, so I humor them for awhile. I think they forget that most of the good stuff in the boxes is trapped inside that strange, un-tasty material. Mind you, if it smells good, I'll eat it even it doesn't taste so great. Usually, however, I have to ask Mom and Dad to help me get at the good stuff inside. They can be a little slow on the uptake. For example, although I appreciate that they get excited about these wonderful smelling goodies, too, they tend to get a bit distracted from the big picture. That would be me, yours truly, waiting as patiently as I can to actually try one of the tempting goodies! Or a bag. A whole bag would be okay with me! Mom and Dad keep talking; I keep drooling. They talk about organic chicken and pheasant. Pheasant! So that's what the new smell is! I wonder if it is like the "duck". I simply adore "duck"! They talk about "all natural" and "fruits and vegetables". Mom and Dad just love to talk. I've tried their food and it's pretty darn good and I can't for the life of me figure out why they talk more than they eat. I still have hope. Maybe they'll figure life out one of these days. Mom says something about "No preservatives, harmful additives, wheat, corn, soy, BHA, BHT, or Ethoxyquin". Not to be outdone, Dad says something about, "Great for dogs with allergies, diabetes, or sensitive stomachs" Dog! That's me! Just when I think I can't take anymore talking and not tasting, Mom gives me a try of the tasty stuffed called, "organic pheasant". Oh, dog biscuits! While pheasant is not the same taste as duck, it is very, very good. For reasons I cannot even begin to fathom, they didn't eat the chicken treats. Already a fan of chicken, I was more than happy to help clean the table again, especially since Mom put the rest of the treats up in the high cupboard in the food room. Silly, Mom. Doesn't she know I can't possibly get into that cupboard by myself? Founded in 1935, Evanger's Dog & Cat Food Company is the only privately-held, family-owned and operated pet food cannery in the United States. For over 75 years, the company remains dedicated to improving the health, length, and quality of life of pets through wholesome, hand-packed nutrition. Made in the kitchen of Evanger’s, each farm-fresh food ingredient is not only made and sourced in the United States, but also hand collected daily from human-grade USDA inspected facilities. 90% of ingredients are sourced within 50 miles of the Illinois plant, and are used within 24 hours. Evanger's is generously offering That's What She Said readers an opportunity to test their delicious natural jerky treats. Rex asks that, should you win, please share with your dog immediately! This giveaway is open to residents of US, 18+ and will end on Thursday, September 6, 2012 at 11:59pm EST. Winner will be selected randomly from all eligible entries and will be notified by email. Winner must respond within 48 hours or a new winner will be selected. Please leave email address in your entry comment, in anti spam format, if it is not available through your comment name. Sponsor is responsible for supplying and shipping the winner's prize pack. Visit the Evanger's website, explore and share with me in a comment below, which products your pet would most like to try and why. *Like That's What She Said on Facebook, leave comment with your Facebook name, 1 entry. *Like Evanger's on Facebook, leave comment with your Facebook name, 1 entry. *Follow Evanger's on Twitter, leave comment with your Twitter name, 1 entry. *Share if your pet has special dietary or health needs and if you think the Evanger's line of products will be good options for you and why, 2 entries. Rex received Evanger's all natural jerky treats in Chicken and Pheasant to explore for the purposes of creating this feature. His opinions above are both honest and of his own experiences. Facebook, Pinterest and Google+ are not involved in, nor responsible for this giveaway in any fashion. I would like the duck and sweet potato dinner super premimum. It sounds like a very good dinner. It would help my newly adopted dog lose some weight. I have 2 standard poodles who love jerky treats. I would feel very good about letting them have the Natural Buffalo with Fruits & Vegetables treats since I think they'd be of superior nutritional value to them. I entered the Amazon.com Blast Giveaway Aug Wk 2 ~ with Makobi Scribe. My standard poodles both have sensitive digestive systems and tend to get bloody diarrhea with low quality foods. I think that this brand of food would be very healthy for them since it uses such high quality ingredients. Thank you! Your review of tsue-thatswhatshesaid.com is being processed. Chicken with Brown Rice Dry Dog Food. Dumpling would like the Raw Freeze Dried Wild Salmon. I've given him other raw freeze dried products and he has loved all of them! I follow @tsue1136 on Twitter. I follow Evanger's on Twitter. Grain Free Wild Salmon for dogs. Why? 'Cause omega-3 fatty acids associated with salmon is good for the dog's fur coat. I am sure they would love the buffalo jerky, I am always looking for more natural treats. Tiger says that he'd really like to try any of the Grain Free Dry or Can foods. He says, since he's a Boxer, his tummy is really sensitive and all those grains makes his Mommy hold her nose from all the tootin'. He doesn't like the bigger mess when he goes potty either. Tiger says he really likes jerky treats, too. And he's definitely been a good boy! As Tiger said, he has a sensitive tummy and he must have foods with a high meat content otherwise he is gassy and has a loose stool. Evangers grain free choices would be great for him. My Chihuahua would love to try the Super Premium Turkey Dinner and she would also love to try the Raw Freeze Dried Wild Salmon. She loves to eat fish. 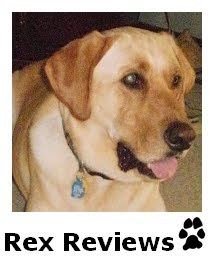 LIKE Evangers on FB- Kimberly W. F.
Dumpling would love to try the Raw Freeze Dried Beef Liver. He loves freeze dried liver and it would be interesting to see if he likes raw freeze dried liver! My dog loves the Evangers Hunk of Beef can dog food. We buy this all the time. My beagle is so finicky and only likes people food. Evangers is just like people food so my dog will eat their food. It is one of the only that she will eat. My dogs would love to try the Raw Freeze Dried Wild Salmon and the Buffalo and Venison Jerky Treats. They have never had these types of meat and it would be a real treat. I love that they are healthy treats and safe (made in the USA) for my dogs. I think our dog Sammie would enjoy the Natural Venison with Fruits & Vegetables Jerky treats or the Organic Chicken with Fruits & Vegetables Jerky Treats. My dog would like the Raw Freeze Dried Wild Salmon because he gets so excited when we give him fish or seafood. I like That's What She Said on Facebook as Kelly Ann T.
I Like Evanger's on Facebook as Kelly Ann T.
I wrote a review on Alexa as Kelly Ann T.
My dog would love to try the Buffalo jerky treats. He loves buffalo. I would love to try the Grain Free Beef for my dog. I think she would love this food. I commented on Best Hardy Perennials For Vibrant Fall Gardens. #1 I would feed my dog the Grain Free Chicken, Sweet Potato & Pumpkin because of the grain free. She has allergies and develops severe dandruff when she eats food with grain. #2 I would feed my dog the Grain Free Chicken, Sweet Potato & Pumpkin because of the grain free. She has allergies and develops severe dandruff when she eats food with grain. My dogs like venison so they would enjoy the Natural Venison with Fruits & Vegetables treats. I would like to try the Natural Buffalo with Fruits & Vegetables. I have never given them a product with buffalo in it and it sound very interesting. Would like to try the Grain Free Chicken with Sweet Potato & Pumpkin since my Great Dane does better with grain free foods. Entered the all Mighty Pacs giveaway. My pets would love the Raw Freeze Dried Wild Salmon! I would love for my dogs to try the Organic Chicken with Fruits & Vegetables. I think they would love these the most! I think my girls would like the Organic Chicken with Fruits & Vegetables. Thanks!! My cats would love to try the Evangers Beef It Up Dinners. ladyvon at grm dot net. I like Tsue on FB. Dorothy Hubbard ladyvon at grm dot net. I am following Tsue on twitter @ladyvon5845 ladyvon at grm dot net. I do have one doggie that has a special diet. She can not eat just any dog food or treats. She has a skin problem. I have been wanting to switch my 10-year-old Westie to a brand of dog food that is more nutritious for her. Would love to try Evanger's dry dog food! I like Evanger's page on FB! I'd chooce the Organic Chicken with Fruits & Vegetables because my dog loves chicken. I like That's What She Said on facebook. FB name is Buddy Garrett. I would like to have my dogs try the Organic Chicken with Fruits and Vegetables Treats. I like to feed my dogs things that are healthy and fresh without a lot of fat. I'm Brutus the boxer and I would like to try the pheasant, please because i have fine tastes but have never had it before. Thanks you.